Though the NFL vows to continue its investigation of Manning’s alleged HGH use, it’s hard to understand why. Let me be forward: Peyton Manning is my favorite football player of all time. He probably will be as long as I live, so don’t go into this piece expecting any semblance of objectivity. At its core, football is an emotional sport, and players that stand the test of time and forge careers as long-lasting and as successful as Peyton Manning leave an indelible mark on the mythology that surrounds the game. Those that watch football develop emotions about it, and those emotions lead people (like me) to be biased about certain things. Peyton Manning is one of those things. Manning’s 18-year career can be organized into categories like thrilling comebacks, crushing defeats, overcoming insurmountable hurdles and rewriting record books. And winning, lots of winning. But, like every good story, challenges repeatedly tested Manning’s greatness. One such challenge was the fierce rivalry with New England Patriots quarterback and good friend Tom Brady. As in any great narrative, Manning is to Brady as Pokemon’s Ash Ketchum is to Gary Oak, Dragonball Z’s Goku is to Vegeta, or Harry Potter is to Draco Malfoy. For the better part of the last two decades, the Manning/Brady rivalry added a dimension to the sport that it lacked before. This heavyweight bout between titans quickly became the greatest rivalry in NFL history, perhaps all sports, creating a division between Manning fans and Brady fans. In fact, I could argue that Brady is the single detriment to Manning’s legacy. If Tom Brady had lived in a different era or existed in an alternate dimension, Manning would be king. I could argue that point, and I have many times, but I think it’s more accurate to say this: After 18 years, Manning’s legacy is, in part, defined by Tom Brady. This duality—this intertwining of careers and legacies—almost seems like fate, like something found in a Greek myth. What made it especially captivating is that we all watched the story unfold, every year adding a new chapter to something we knew was historically significant. On March 7th, 2016, Manning announced his retirement, riding off into the sunset (forgive the cliché/Broncos pun) as the holder of nearly every important NFL career passing record, five league MVP awards and two Super Bowl rings. For someone so decorated on the field, his off-the-field impact is what separates him from most other players. He made us laugh in his press conferences and interviews, and most importantly on Saturday Night Live. For a professional athlete and celebrity, his charm was unparalleled. Always calm and friendly, he spoke to everyone like he’d known them for years. He was captivating. Perhaps that’s why he’s influenced a new generation of quarterbacks in ways no other past quarterback has. The Manning Passing Academy, founded by his father Archie, has developed a reputation for grooming top-tier quarterbacks on both the college and professional level. Russell Wilson and Colin Kaepernick both attended the academy, as well as Andrew Luck, Matthew Stafford and Marcus Mariota, to name a few. Wilson openly stated, in a poem he wrote to Manning prior to the legend’s retirement, that Manning inspired him in a number of ways while attending the camp. In every possible way, Peyton Manning is and has been the ideal face of the NFL for the past 18 years, exemplifying everything good about the league. For precisely that reason, the NFL needs to sweep one blemish under the rug. 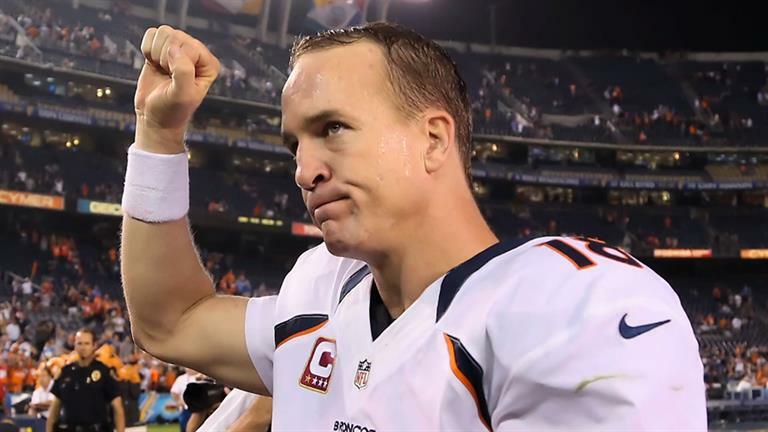 At the tail end of his fairytale career, Manning’s legacy has been brought into question amidst allegations that he used Human Growth Hormone (HGH) following a 2011 neck surgery. Of course, Manning denies the accusation, calling the Al Jazeera America report “garbage.” Maybe it is. I hope it is and I believe it is. Nothing about Manning strikes me as someone who would need performance enhancing drugs, let alone take them. For someone to love the game as much as Manning clearly does, it isn’t fitting that he’d risk his entire reputation by taking HGH. Though, smarter people have done stupider things. Maybe Manning, faced with potentially losing the ability to play the sport he loves, weighed his options and decided that the risk of taking HGH just once, to help recover from a serious injury, outweighed the possibility that he would never fully recover. This is possible, and many people probably would take this risk to keep pursuing his or her passion. Peyton Manning is definitely human and certainly not perfect, but I like to think taking HGH is beyond him. Everything he’s worked for and accomplished would be tarnished if the allegations were true. Which brings us to the question of the hour: How important is it for the NFL to investigate these allegations? Sure, if Manning did take the HGH, one can argue that he would have gained an unfair advantage over other players. It’s said that after age 30, one’s body’s ability to recover from injury declines incrementally every year, so taking a drug to boost cell regeneration would be undoubtedly unfair. It’s also in violation of the rules, but the NFL doesn’t exactly have the best reputation when it comes to a) enforcing rules b) equally enforcing rules or c) creating reasonable rules/adapting rules to modern times. For example, suspensions for marijuana use are becoming more and more outdated as pot becomes more accepted around the country, and commissioner Roger Goodell’s handling of the Deflategate situation rankled fans across the country, leading Brady to countersue the NFL for their bungling ineptitude. So, in the case of Peyton Manning’s possible use of HGH, the NFL should let this one slide. Forget about it. Chalk it up to “garbage” reporting. Manning is far from the irresponsible mess that is Johnny Manziel—the polar opposite, actually—and he’s done far more for the NFL’s image than forever fratboy Rob Gronkowski. Peyton Manning encapsulates everything in a player that the NFL wants. He’s given us unforgettable memories. He’s entertained us in every way possible. And, he’s inspired generations of young quarterbacks and athletes to be like him. Since he was drafted in 1998, Manning has never done anything to draw attention away from the team. His focus has been entirely on the sport of football, which is more than probably 99 percent of players in the NFL can say. So, Roger Goodell and the National Football League, don’t tarnish the legacy of the person who’s done more for your image than even your commissioner has. 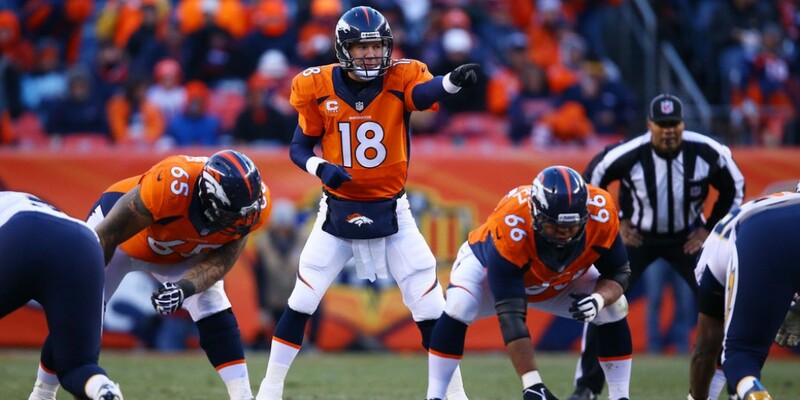 The nearly two decades of Peyton Manning are the golden years of NFL quarterbacking. Don’t invalidate Manning’s imprint on everyone, of all ages, that spent the last 18 years watching history. You would, in turn, be invalidating yourself.